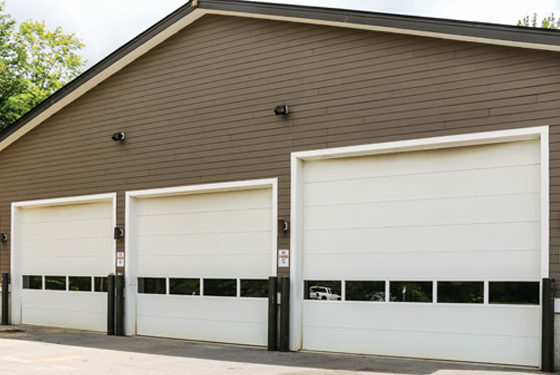 Insulated sectional steel doors are the ideal solution for any business that requires temperature control; such as warehouse facilities, storage units, restaurants, fire stations, and municipal buildings. 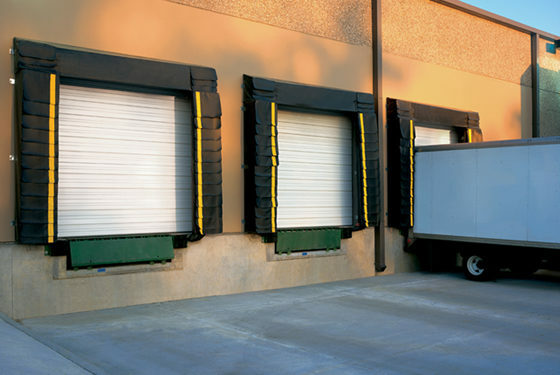 Insulated commercial overhead doors work to keep cold air in or out, depending on the need. Another benefit to this type of door is they are typically sturdier and quieter than non-insulated doors. 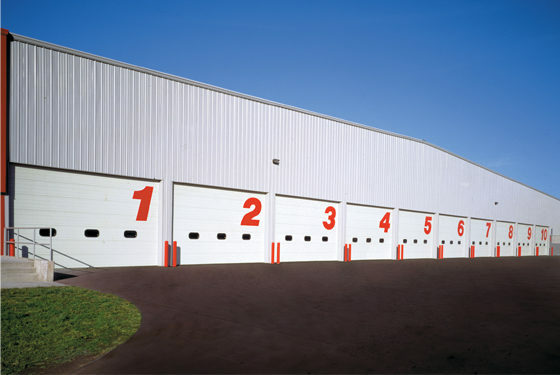 Model 418 are high-quality, heavy-duty insulated sectional doors that provides protection against cold and hot conditions. These 2″ (51 mm) thick doors are constructed of 16-gauge, flush galvanized steel exterior, providing an R-value of 7.35. 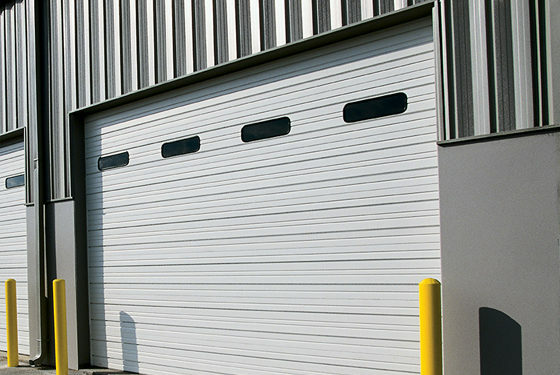 Overhead Door of Akron carries a wide array of options to meet the most demanding project requirements that call for thermal efficiency. 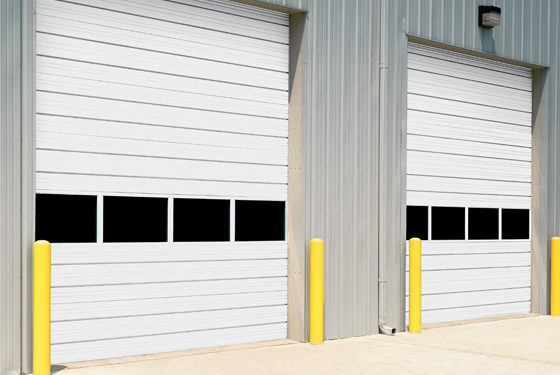 Model 422 are the ideal insulated sectional steel door for heavy-duty applications requiring protection against the elements. These doors feature a 20-gauge ribbed steel exterior, with a 2″ (51 mm) panel thickness and a 7.35 R-value. 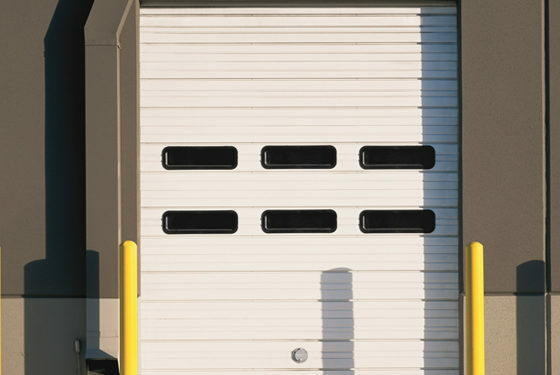 These insulated heavy-duty doors offer a multitude of options that meet a wide variety of commercial and industrial applications. Model 426 provide heavy-duty applications protecting against the elements. 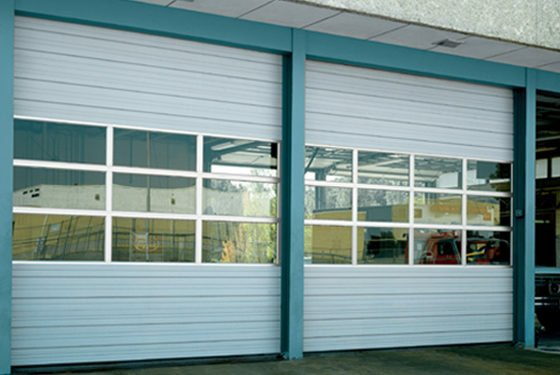 These doors feature a 24-gauge ribbed steel exterior, with a 2″ (51 mm) panel thickness and a 7.35 R-value. 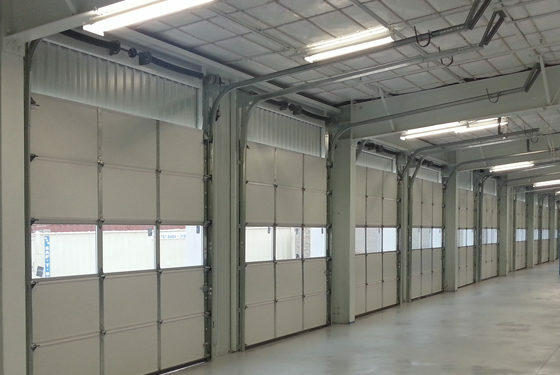 A wide variety of options allow these heavy-duty insulated doors to be used in a wide range of commercial and industrial applications. 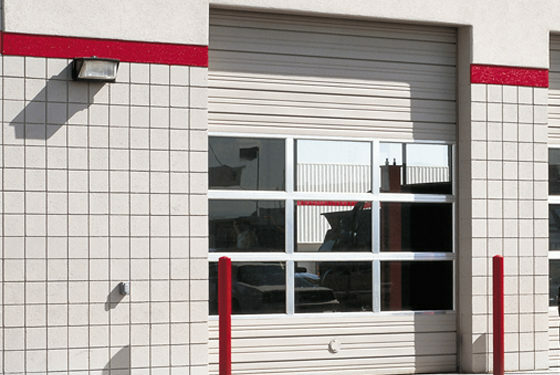 Model 432 are medium-duty insulated steel doors, that provide an economical solutions with a variety of options. These doors offer a 2″ (51 mm) panel thickness, and feature a nominal 24-gauge ribbed galvanized steel exterior and a poly-bonded back cover. The Polystyrene insulation provides an R-value of 7.35. Model 470 are solidly constructed for commercial and industrial applications, with a reliable performance. These insulated sectional steel-back doors feature a 2” polystyrene insulation, and deliver a superior R-value of 9.83. Although insulated doors are typically the preferred option. That being said, there are circumstances that may lead you to choose a non-insulated door. For those times when sound-proofing and thermal comfort do not matter, a non-insulated door is a smart and economically efficient option. 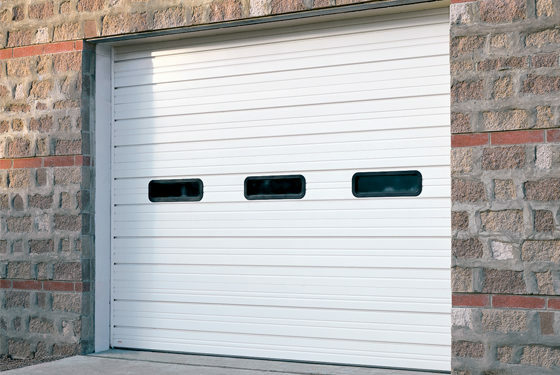 Model 416 are multi-faceted non-insulated sectional steel doors, with a flush panel design that is strong, durable and versatile. These doors offer a variety of optional features that allow you to make a bold design statement without compromising functionality. 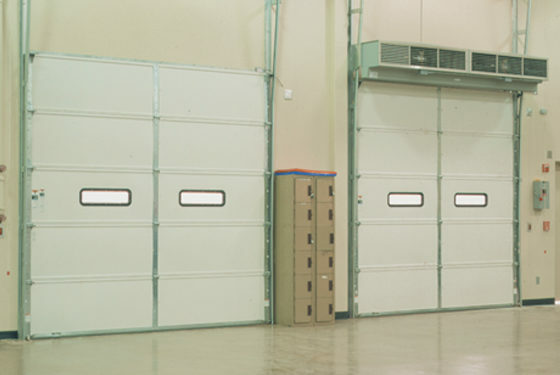 These doors feature 16-gauge galvanized steel and are designed for heavy-duty commercial and industrial applications. 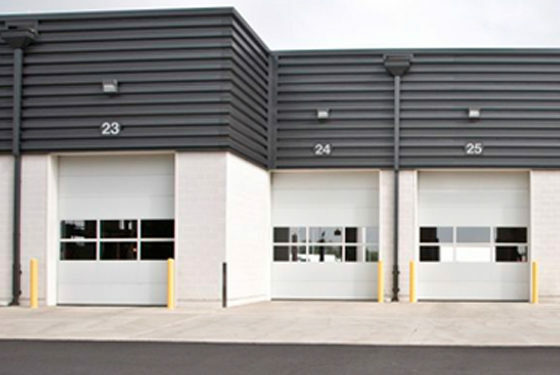 Model 420 non-insulated sectional steel doors feature a strong, durable and versatile ribbed exterior. 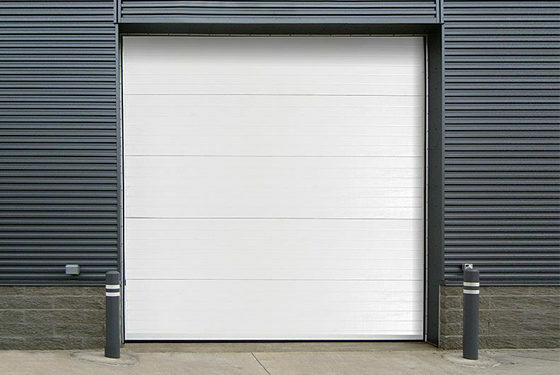 These 20-gauge galvanized steel doors are designed for heavy-duty commercial and industrial applications, and also offer a variety of optional features for any project requirement. Model 424 are durable and versatile non-insulated doors, with many options available to suit many projects. These doors are designed for heavy-duty commercial and industrial applications, featuring a ribbed exterior 24-gauge galvanized steel. 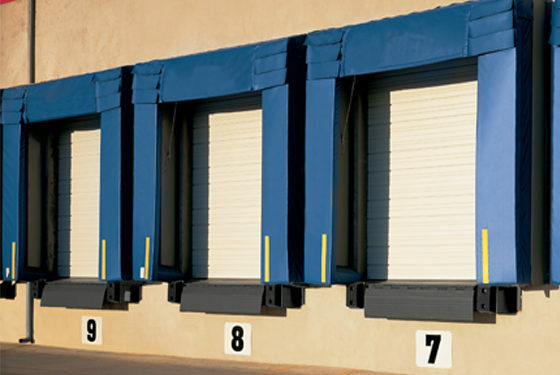 Model 430 The non-insulated sectional steel doors are available in sizes up to 20’2″ in width, and 16’1″ in height for medium-duty applications. Customizable to any project specification, these doors feature a nominal 24-gauge ribbed, white galvanized steel exterior, and 2″ (51 mm) panel thickness.